California is well known for its stunning coastline, from iconic beaches with piers to rocky bluffs, beautiful ocean view drives and cool surf towns with laid-back vibes. 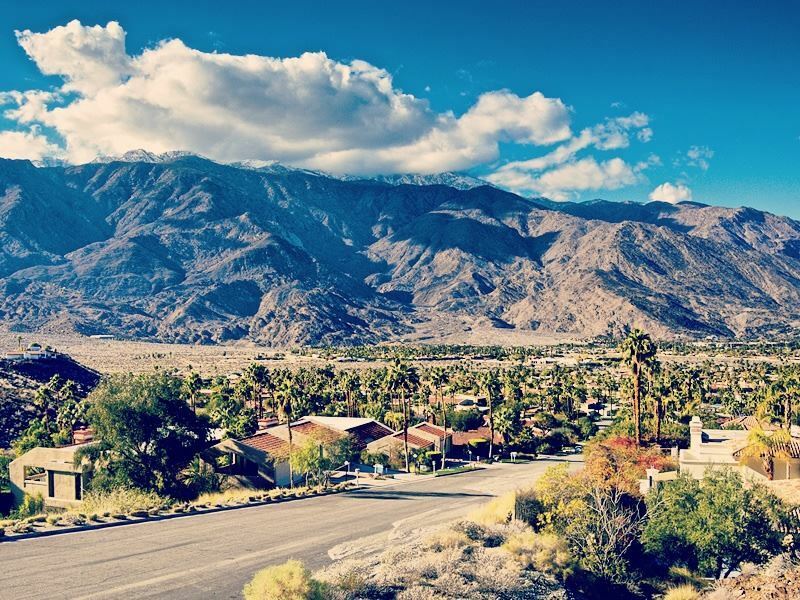 But don’t miss out on the inland towns, full of Californian charm in a whole different way. Waterfalls, windmills, apple orchards, gold mines and vineyards... there’s a whole new side of California to be discovered. Here's our top 10 non-coastal towns in The Golden State. Where: Situated in northern California on the Sacramento River. What: Known as the ‘Train Town’, Dunsmuir was built by Central Pacific Railroad and originally named Pusher after the trains that were used to push steam engines up the steep gradients here. Dunsmuir was renamed in 1886 after Alexander Dunsmuir a coal baron visited the town, fell in love with it and requested the town be named after him in return for a fountain. The fountain still stands today and can be found in the town’s park. Highlights: Step back in time in Dunsmuir old town, which looks eerily unchanged since the 1920's. Train buffs will love the spectacular railroad in the Sacramento River Canyon. Trout fishing in the rivers is a very popular pastime; with sizeable specimens of up to 14 pounds it’s a fly fisherman’s dream. Dunsmuir City Park and Botanical Gardens has 10 acres of beautifully landscaped gardens, woodland and meadows to stroll around, walk along the river and enjoy a picnic amongst the local flora. 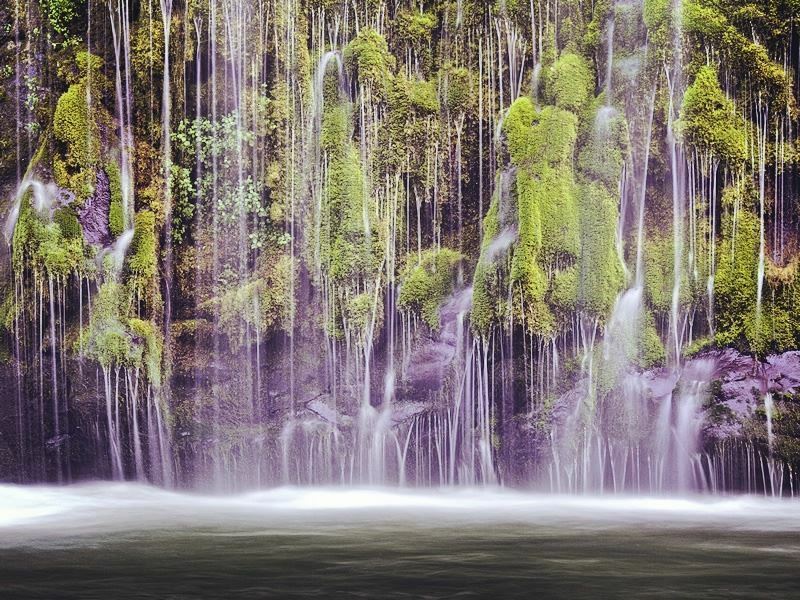 Mossbrae Falls and Hedge Creek Falls are a must visit. If heading for Hedge Creek, take a five minute stroll along a woodland trail from the road, and the falls appear, explore the cave behind and get a different view of the cascading water. Continue along the trail to the Sacramento River, a lookout point offers awesome views of the river, canyon and Mount Shasta. Swimming holes, lakes, climbing, hiking and biking are just some of the outdoor pursuits that can be enjoyed in and around this quintessential Californian town. Where: Southern California, just over an hour's drive east from San Diego. What: This gold mining town up in the Cuyamaca mountains first struck lucky in 1870 but the gold rush only lasted until 1900. Following on from this Julian then became famous for its apples and it still is today, with visitors flocking to try Julian’s famous apple pie. Highlights: Go underground on a tour of Eagle and High Peak Mines; see first hand what it would have been like to mine for gold as a guide takes you through the tunnels. Learn more about this historic town, which still looks like it belongs in the gold rush era on a horse and carriage ride. Visit apple orchards, pick your own and make apple cider, the yearly Julian Apple Days Festival celebrates everything to do with the apple. Just a short drive from Julian, Cuyamaca Rancho State Park has lots of scenic trails perfect for hiking, horse riding and biking. For panoramic views of the desert, Salton Sea, ocean and Mexico hike the 3.5-mile trail up to Cuyamaca Peak. Don’t leave Julian without sampling their apple pies, world famous there are plenty of quaint eateries to sample this delicious local dessert. Julian also has a collection of wineries and the annual Grape Stomp Festa is a wonderful way to let your hair down by stomping on grapes. Where: Around 45 minutes north west of Santa Barbara in the Santa Ynez Valley. 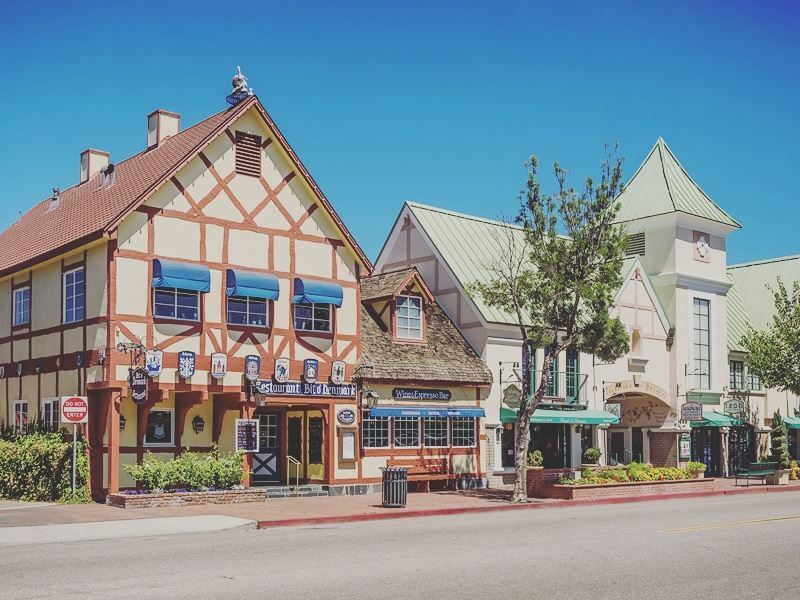 What: Danish inspired Solvang; meaning ‘sunny field’ was created in 1911 by three Danish immigrants. This quirky town has a very strong Scandinavian feel from the buildings and windmills to the food and replica of the Little Mermaid statue; you could be forgiven for thinking you are in Denmark. Highlights: Strolling around this delightful town is a highlight in itself; take in the Danish architecture, looking out for the five windmills, the Little Mermaid and a giant red clog. Enjoy a Danish pastry or visit one of the many wine tasting rooms and enjoy the chic boutique shops. Danish and American museums are aplenty here so buffing up on local history won’t be a problem. The Hans Christen Anderson Museum is well worth a look inside with first edition books on display and letters written by the author. Where: Nevada City is 60 miles north east of Sacramento and a one hour and thirty minute drive from Lake Tahoe. 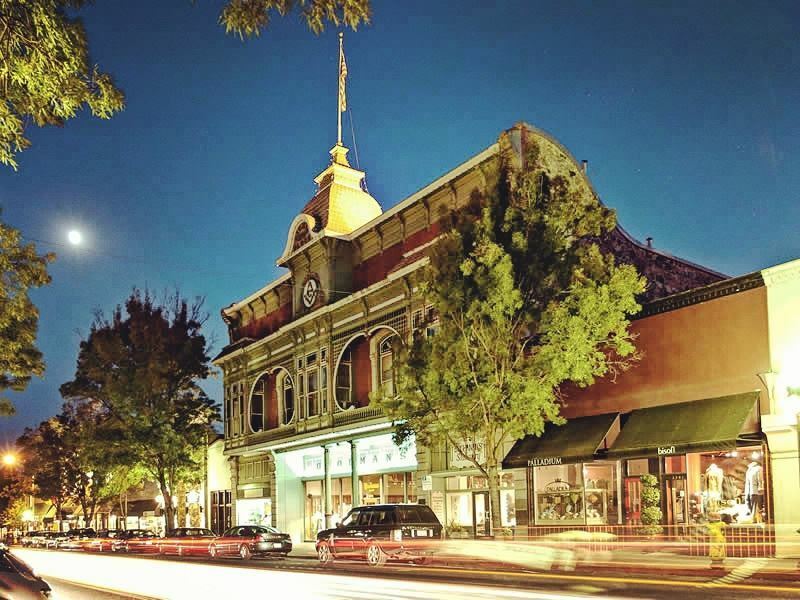 What: A Gold Rush town now home to many artists and musicians, Nevada City has a quaint historic downtown area with buildings dating back to the 19th century. The town is listed on the National Register of Historic Places too. 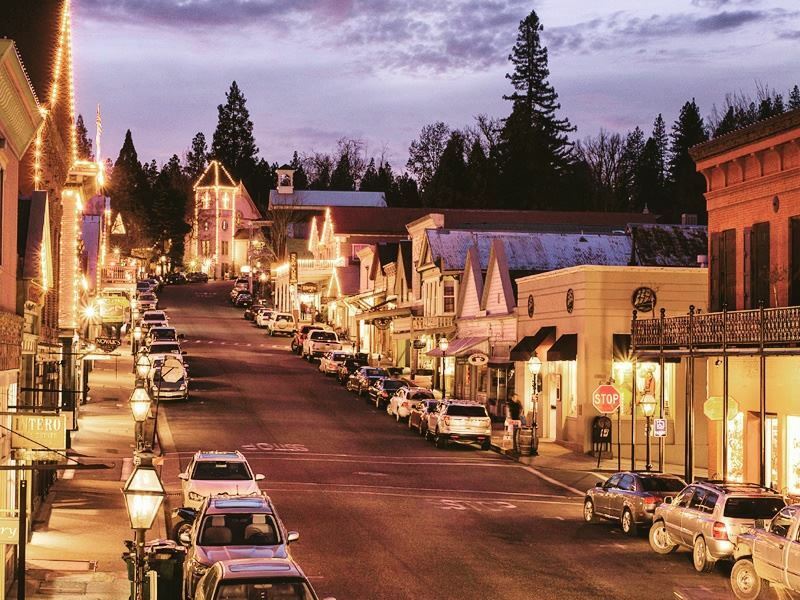 Highlights: Exploring the narrow streets and the old buildings, it feels like time has stood still here which is all part of Nevada City’s charm. This town has a lively nightlife; bars, restaurants and live theatre make for a vibrant evening out. To learn more about the history of the area visit Firehouse No. 1 Museum. Located in the old Miners Foundry Garage the Nevada City Winery is a great place to relax and try local wines. The Independence trail a 10 minute drive away in the South Yuba River State Park is a lovely spot for hiking, once a mining ditch used to transport water from the river to the gold mines the old wooden flumes it have been transformed into a scenic walking trail. Stroll high above the South Yuba River; stop at viewpoints overlooking Rush Creek and a waterfall and cool off in a crystal clear swimming hole. Where: Santa Ynez is 30 miles north west of Santa Barbara and 3.5 miles away from Solvang. What: Known as a ‘sophisticated cowboy town’ its not unusual to find horses parked alongside cars, this fascinating town has the look and feel of a wild west film set. Highlights: Don’t miss the annual Vaquero Show; the three-day event celebrates everything to do with the cowboy. Watch local cowboys in action as they demonstrate their horsemanship skills and purchase some western inspired apparel. The Santa Ynez Valley Historical Society Museum and Parks-Janeway Carriage House in town is a good place to become acquainted with the history of the local lifestyle. Nearby Santa Ynez is the Chumash Casino; try your hand here at poker, blackjack or bingo, a great place for an exciting night out. 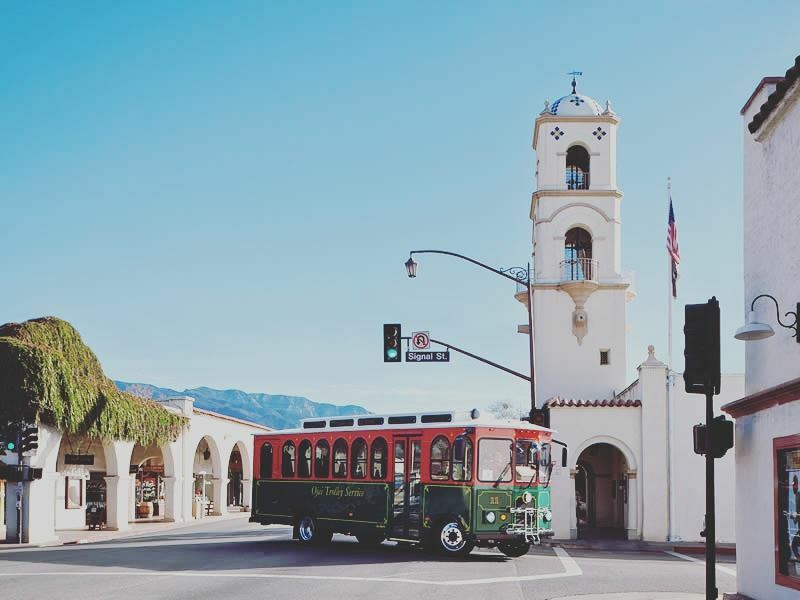 In the heart of the wine district Santa Ynez is the perfect area to be based for exploring vineyards and lunching at nearby wineries. 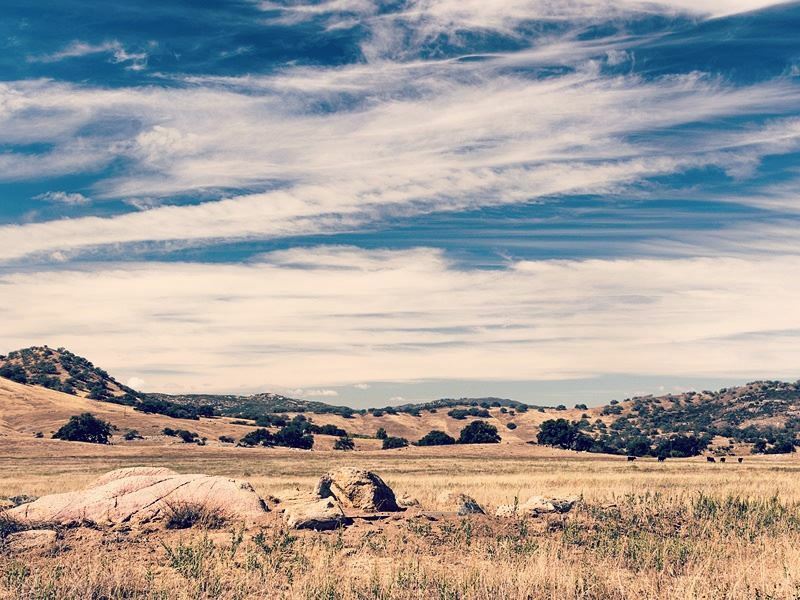 Spend a day on the Santa Ynez wine trail, surrounded by beautiful scenery sample local wines and look out for the locations from the film ‘Sideways’. Where: Located in the Coachella Valley in the Sonoran Desert, 114 miles east of Los Angeles. 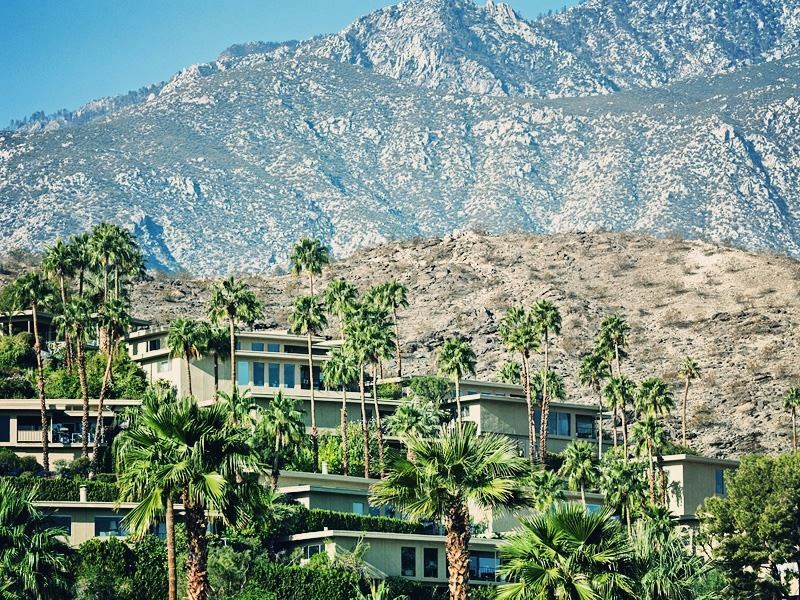 What: Retro cool Palm Springs is home to the rich and famous, the dry heat of palm springs has long attracted film stars and movie producers to this desert oasis with its almost year round sunshine. The highest temperature recorded here is a roasting 51°c. The likes of Bob Hope and Frank Sinatra resided here; you can now rent their homes for a holiday or photo shoot if necessary! Highlights: Live the high life in this desert town, drink cocktails at a pool party, shop in the Uptown Designer District, visit Melvyn’s Restaurant where many of the Rat Pack stars often dined, go on a celebrity tour of the area and see where all the stars lived or stroll around the downtown area. Look out for the Palm Springs Walk of Stars; famous names such as Sophia Loren and Elizabeth Taylor are all there. Don’t miss the Palm Springs International Film Festival, it attracts Hollywood’s A-listers and is held every January. Palm Springs Aerial Tram Way is the worlds largest rotating tram car, only 10 minutes out of town this exciting attraction transports you two miles up through the Chino Canyon to Mt. San Jacinto State Park at an elevation of 8,516 feet. Breathtaking views of the valley below can be seen from the observation decks, there are also two restaurants a natural history museum and 54 miles of hiking trails to explore. Where: North of San Francisco and west of Napa. What: In the heart of Sonoma Valley California’s wine region, Sonoma has an interesting history. 1846 saw the town become the site of the second American Revolution, during this battle the Californian flag was born. 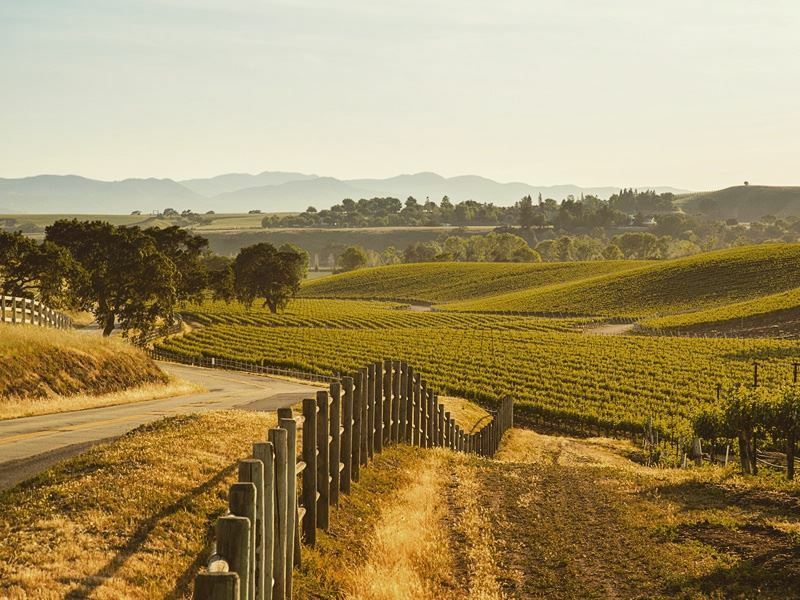 Today Sonoma is a chic town home to the oldest winery in California and California’s last Spanish-Mexican mission. Highlights: Art galleries, shops, restaurants and wine tasting rooms plus the largest town square in California, Sonoma Plaza. Sonoma State Historic Park, home to the Sonoma Mission and Sonoma Barracks is definitely worth a visit and it would be a crime not to sample some wine whilst in this area. The Sonoma Valley Wine Trolley is a unique way to experience the vineyards and gorgeous scenery. For a relaxing treat visit Sonoma Hot Springs, the nearby Boyes Springs at the Fairmont Sonoma Mission Inn and Spa are a popular retreat. Where: On the edge of Yosemite National Park in the foothills of the Sierra Nevada Mountain Range. 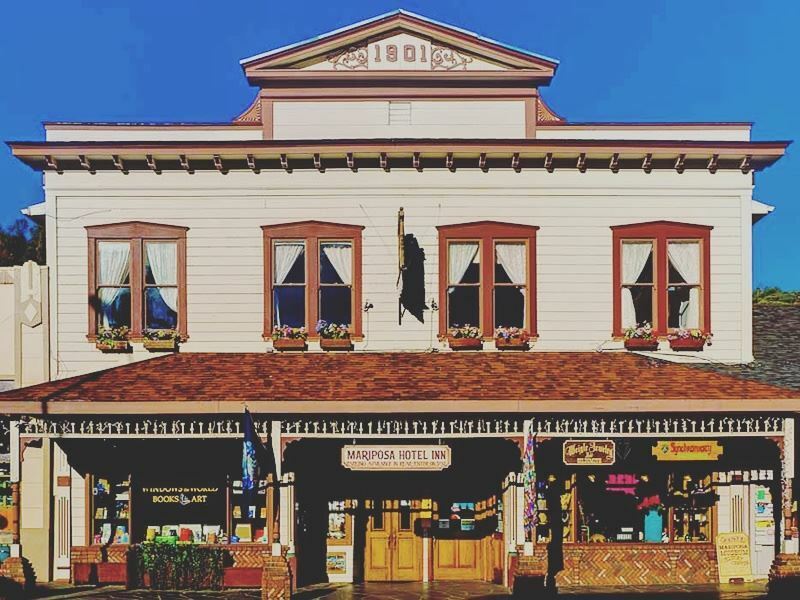 What: Originally a mining town, Mariposa still retains its small town mining charm, historic architecture add a quaint feel to this gorgeous little dwelling and being so close to Yosemite it’s a good place to be based for exploring the area. Highlights: Take a tour of the courthouse, first opened in 1854 it is still in use today and is the old courthouse in California. A fantastic place to visit is nearby Yosemite National Park, towering trees, spectacular waterfalls, alpine meadows and lush forests are all just an hour away from here. Sugar Pine Railroad a 50-minute drive from Mariposa is a fun day trip, travel by a steam powered train for 4 miles through the mountains. Learn about the history of the area on the one-hour journey and marvel at the views as you go. California State Mining and Mineral Museum has all sorts of interesting artefacts from the town’s bygone era including the Fricot Nugget, an impressive lump of crystalline gold weighing in at a huge 13 pounds. More highlights here include walking through a mining tunnel and a glow in the dark mineral exhibit. Where: Ojai is 83 miles north west of Los Angeles. What: This hipster town is a haven for artists from all walks of life, a laid back, spiritual vibe echoes throughout the downtown area. Art galleries, music festivals, spas and farmers markets make this the perfect spot for relaxing. Highlights: There are two olive oil ranches in Ojai, tour one of the ranches, visit the tasting room and purchase some olive oil goodies or head to Frog Creek Farm for lavender picking. Sample wine from over 30 different vineyards at the Ojai Wine Festival held every June. There is a Sunday farmers market full of organic produce and refreshingly chain stores are banned from this area. This allows small local businesses to thrive and gives this town or ‘the village’ as it is known a friendly local feel; don’t miss the opportunity to visit some unique shops while you are here. Focusing on health and spiritual wellbeing Ojai is the place to indulge in spa treatments; from meditation to yoga and massages there is a whole lot of relaxing to be done. Outdoor activities to be enjoyed include golf, kayaking on Lake Casitas and camping, climbing and hiking in nearby Los Padres National Forest. For a bit of an adventure visit Matilija Creek where waterfalls and hot springs can all be discovered. Where: Found in Napa Valley, 78 miles west of Sacramento and 66 miles north of San Francisco. 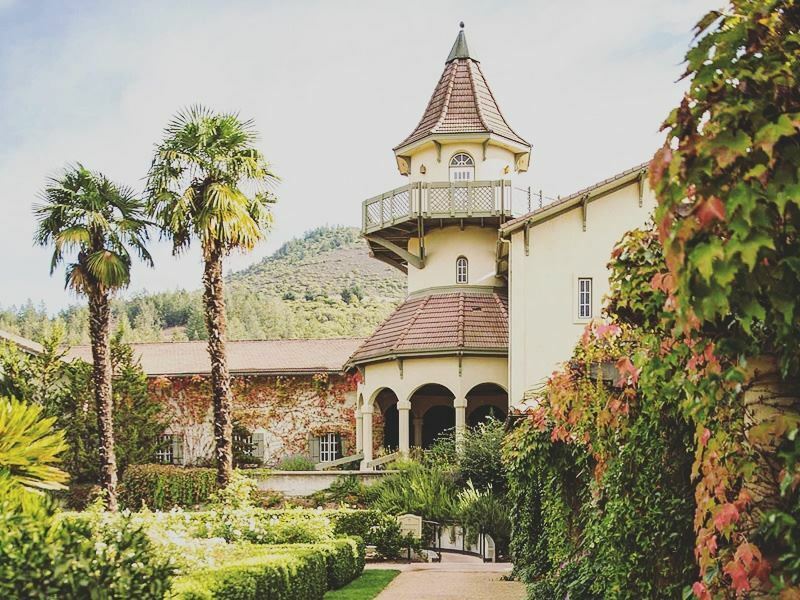 What: Nestled amongst vineyards and wineries in the rolling hills of Napa, St Helena is a wine lovers paradise. Wine making starting out here in the 1800's and there are now 416 vineyards in the area. Highlights: It’s all about the vineyards here and sampling Napa Valley’s many varieties of grape. From independent boutique tasting rooms to large vineyards there’s a whole host of quaffing to be done. Renting a bike or going on a guided bike tour is a fantastic way to explore wine country, cycle along the Vine Trail bike path to avoid the roads. See Napa valley from the air on a hot air balloon ride, with panoramic views of the vineyards and mountain ranges beyond this is a majestic experience not to be missed. Take a cooking class at The Culinary Institute of America or stop by the Napa Valley Museum to learn about the history of the area.